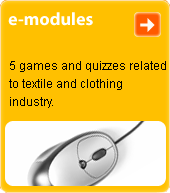 f. spinnable as a textile from natural polymers of vegetable or animal origin. N. f. form three categories: vegetable, animal and mineral. Vegetable f. are formed by elongated vegetable cells, the basis of which is cellulose. The best known vegetable f. include cotton and flax. F. of animal origin, the basis of which is keratin, i.e. horn, include various types of animal hair, sheep's wool and spinnable f. which are formed by the secretions of the silk glands of certain caterpillars (natural silk). Asbestos is a mineral f.